Owing to daily bombardments by TV stations I have been having very interesting dreams of late. 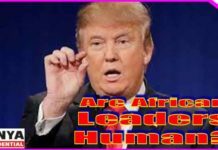 Following the cruel evicts of thousands of Kenyan families from Kenya’s largest water tower of Mau Forest, I have been having a dream of former President Daniel arap Moi giving up close to 10,000 acres he grabbed some years ago. According to my dream Moi decided to give back the forest land to Nature after realizing the grave mistake he made when he invaded the sacred source of water to millions of families and wild animals and the welfare of a huge diversity of fauna and flora. The dream took me to Nakuru State House where I last had a one-on-one breakfast meeting four decades ago. In the dream the late William Ntimama joined us and I gathered that he had led a delegation to pledge loyalty to the President among other number of other political favours. Ntimama was blunt and to the point. He told President Moi that the Maasai in both Narok and Transmara were desirous of getting back all Mau Forest land reinstated to its natural form of a Equatorial forest. 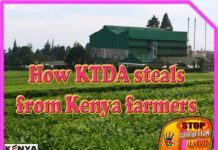 Moi told him that his tea plantation was in Transmara not Narok and Ntimama had no business talking on issues of Transmara County. Ntimama must have remembered that Transmara district was created when Narok County Council declined Moi’s bid to grab the forest land under Ntimama’s watch. 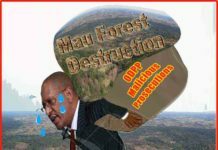 The Mau forest issue considerably strained relations between Moi and Ntimama. Moi however, appeared to yield to the fresh demands by the Maasai community to surrender their land to nature..
Ntimama told Moi that the County Government had tried very hard to recover land grabbed by one Livingstone ole Ntutu but the biggest obstacle was one Keriako Tobiko who aided the Ntutu family to take almost the entire Maasai Mara Forest land and huge tracts of Maasai Mara National Reserve. He added the situation had been worsened by Tobiko’s appointment to be Environment and Forestry Cabinet Secretary. Moi did not appear to have any memory of the said Tobiko but said there was a swarm of unpatriotic advocates advising land grabbers and aiding them on all legal matters relating to public land grabbing. 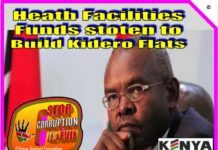 He said lawyers were to blame for land grabbing as much as the grabbers themselves because they used their knowledge in law to rob ignorant citizenry of its heritage for a fee. In the dream I saw a pensive Moi who did not want to be forced to surrender the forest land but to surrender it as a gesture of goodwill to mankind. 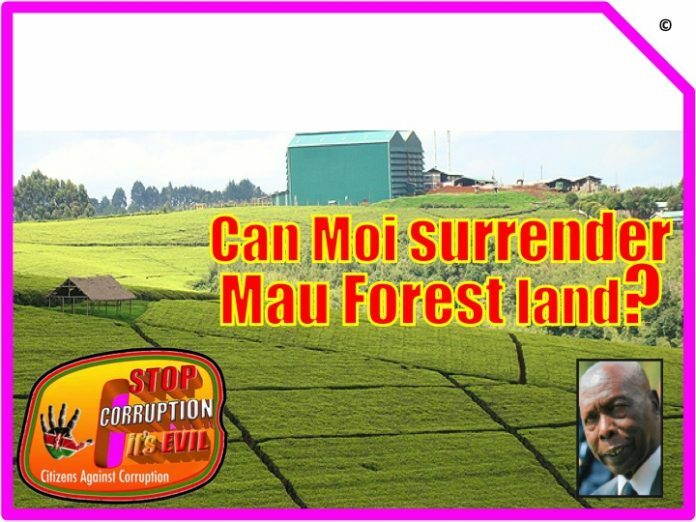 Awake I am convinced Moi and his family do not need the money generated by the tea or cedar trees plantations on Mau Forest. 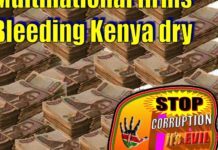 Kenya generated monumental wealth for generations to come. If they cannot surrender it peacefully they will lose it in shame one day not very far. My dream was rudely interrupted at 5.00 a.m. when KTN Home television transmission switched from CNN to home with a higher volume level. My bedroom TV is on throughout the night just in case. A habit I developed from August 1, 1982 when Voice of Kenya radio announced the abortive coup against Moi government. A neighbourhood friend called me after he heard the announcement as he was preparing to go to work and I decided I would henceforth have the radio or TV on even when I go to sleep. It’s fine with my wife also. My friend had called on the landline whose extension was next to my pillow rudely waking me up. I remember telling him that was a very bad turn event in Kenya and that a civilian government was always better than military rule of the gun. 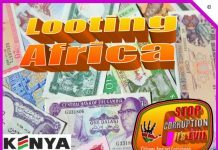 I witnessed how the British colonial government used the rule of the gun during Kenya’s emergency 1952-1960 to harass populations around Mt Kenya, where we lived under virtual military rule. It was hell on earth. I had a taste of Uganda misery after Idi Amin toppled President Milton Obote. I went to Uganda some years after Amin was overthrown but the military was still calling the shots. I was intercepted by Tanzania and Uganda elite army men who accused me of being a spy and detained me at Nile mansions the Jija Police Station were the OB was a torn Nytil Jinja Textile Factory receipt book. My cellmates were gun shot victims two of them oozing putrid stench of puss that drained into the dirty floor of concrete cement we were sleeping on. That experience was worse than anything I encountered at Industrial Area Prison or Kamiti Maximum Prison during the Moi regime. Military government are the worst alternatives to any system of governance. 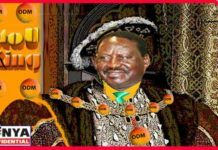 I notice Deputy President has swiftly learned that his political death pallbearers are determined to bury him using tactics which have failed Raila Amolo Odinga bids for presidency over the years. 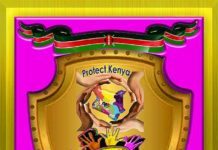 Those who have been screaming about President Uhuru Kenyatta, and by implication his Kikuyu pledge to vote for Ruto come 2022 will have to compose another song. Theirs has been overrun by the hot hit Hatuna Ndeni. 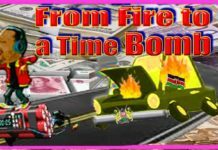 The so-called Tanga Tanga Squad politicians is staring at a serious financial drought spell following announcement by Ruto that no one owes any one any debt, political or otherwise, over the 2022 presidential race. The 2022 credit card that had become some politicians’ ATM has expired. The latest position taken by Ruto will, to some extent, calm the troubled waters of Jubilee Party where Tanga Tanga squad has been playing their support for “Ruto2022” like Mzee Kenyatta era Juke boxes. In other words the Ruto statement should have the Uhuru-Raila handshake effect on rival Jubilee politicians who have been at each other’s throat but blaming Raila Odinga for their political tribulations. Hatuna Ndei has hit the airwaves and electronic platforms like thunderbolt whose din will make the Ruto22 Juke Box music very difficult to hear in future.